Although this is only written at a third grade level, it is a must-read for all teachers! I saw a teacher blogger talking about this book on Instagram. I was skeptical, but since I’d seen it in the bookstore and I had pictures of it (my B&N trick), I thought I’d see what the fuss was about. 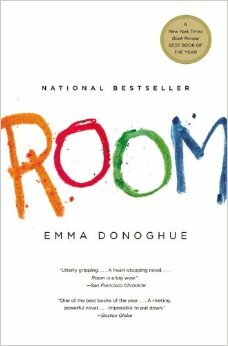 It is a book every teacher and parent of special needs kids should read. 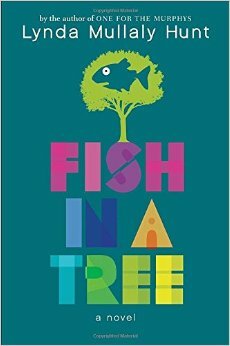 The title “fish in a tree” comes from the idea that if you tell a fish to climb a tree, it will spend it’s life thinking it is dumb or incapable. Ally is a sixth grade girl who has attended 7 schools in 7 years. Her father is deployed, her mom is a waitress, and her (17 year old) brother is a mechanic with dreams to open his own shop. Because she cannot read, she finds ways to get herself into trouble, and prefers the principal’s office to reading and writing. When her teacher goes on maternity leave, a long-term sub changes Ally’s world by getting her tested for dyslexia and restoring faith in herself. With self-esteem, Ally also makes friends (Keisha and Albert), and they find the courage to stand up to bullies. The story ends on a positive note for all involved. What I liked about this book was that it is highly motivating as a teacher. It makes me want to give up my gifted class and go back to teaching intervention. I have been teaching for 14 years, and I’ve had my share of students who had difficulties learning, were picked on, got in trouble, etc. This story tells their story from their perspective. It is necessary to see things from their point of view in order to help them. While we can never walk in our students’ shoes, this book is a good reminder to be positive (the more challenging the kid, the more positivity is necessary! ), to be on the look out and defense for bullies and bullying behaviors, and to remember that our influence as teachers can make a world of difference. What I didn’t like about this book was that it made me sad. I was a smart kid growing up. I was reading early, I was in GATE, and I took honors and AP classes in high school. BUT I was bullied. Often. I had a “Shay” in every class, every grade, every school. There were mean girls who picked on me for being white, being quiet, being who I was, and no one stuck up for me. I had low self-esteem until I graduated from college and started teaching. I wish I had even one teacher like Mr. Daniels. However, I hope I can be that positive influence in my students’ lives.